The ladies 3000m saw a few surprises, and what more appropriate way to start off the program for speed skating at this olympics. Early in the starting order, the Netherlands’ Carlijn Achtereekte set an impressive time of just under 4 minutes (just as a reference, the winning time in Sochi was just over 4 minutes). Skater after skater tried to follow her lap schedule in an effort to better her time but to no avail until late in the second half when defending olympic champion Ireen Wüst began her race with a much faster schedule than Carlijn’s. As the laps wore on, the gap began to narrow and finally on the last lap Wüst crossed the line a mere 8-hundredths of a second behind Achtereekte. Young gun Antoinette de Jong followed up with a performance which at times looked like it would threaten but ultimately came a mere 8 tenths of a second short. Olympic champion from Vancouver Martina Sablikova of the Czech Republic put in a valiant effort in the final pair, but alas was not able to disappoint the dutch. The stage has now been set – the speed skating competition begins with a Dutch podium sweep – not a surprise if all the speed skating you’ve ever watched is the Sochi winter games, but a surprise for everyone following the world cups. I would finish this section with some corny hyperbole like “the other countries need to get their act together” but in truth, at this stage of the game, all the hard work has already been done. Viewers watching the Olympics only see the tip of the iceberg, and don’t see the thousands upon thousands of hours of training which goes into an olympic performance – even that of the person who comes “last” (really – 24th in the world in this case). For those who are interested, I have uploaded the audio file of my commentary (mp3 135mb) for the event here. For it to make any sense, you will need to find a video of the event (many TV channels now have online portals where you can rewatch live events), play it back and play back my commentary after spending some amount of time trying to get the video and audio tracks in sync. I’m trying to get into the habit of saying “bang” when the starter’s pistol goes off for the first few pairs to help people synchronise the audio and video feeds. Tomorrow at the earlier time of 4pm local time, we have the men’s 5000m. This is ordinarily one of the more predictable distances raced (and is also usually the first). At the last Olympics the Dutch stunned everyone with a podium sweep of Sven Kramer (who also won in Vancouver), Jan Blokhuijsen, and Jorrit Bergsma. It turned out to be the beginning of a remarkable olympics for the Dutch and was the first of an unbelievable 4 podium sweeps. This time around, the competition is wide open. Even though Sven is almost certainly the favourite going in, he is not the certainty that he has been in the previous two games. Going into Vancouver he was without peer in this distance, undefeated for a remarkable run at the time of about 3 years, going into Sochi, he had been defeated a few times in the two years leading up to the games was in dominant form. This time however, is different. Canadian skater Ted-Jan Bloemen who the dutch commentators like to call “TJ Flowers” (“bloemen” in dutch means flowers) is quite the credible threat. Last season, quite to everyone’s surprise, he smashed the 10,000m world record. 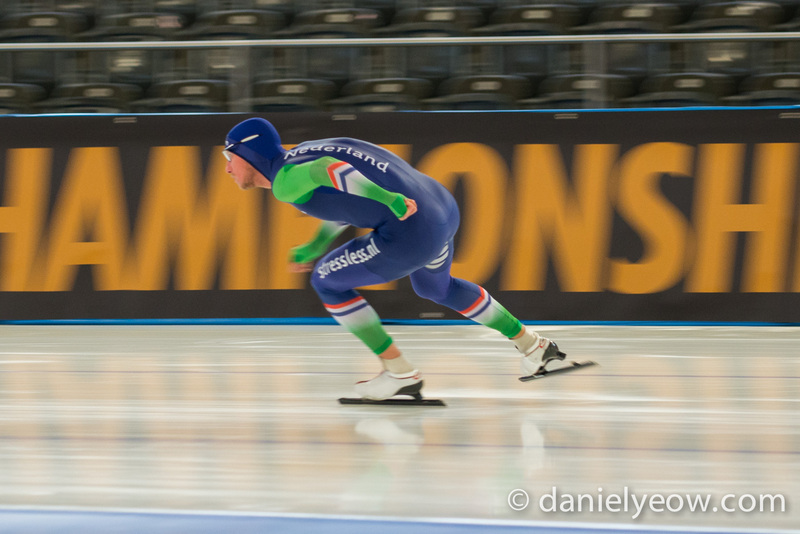 As recently as December, he smashed Sven Kramer’s 5000m world record which had stood since 2007. It was an extraordinary skate with his fastest lap being 28.4 seconds and his slowest lap being 28.8 seconds – in the longer distances a skater aims to “skate flat” meaning the lap splits are even and there’s no significant speed up or slowing down during the race Ted-Jan’s split at 3k was, indeed not as fast as Sven’s when he set his world record, but the laps were more consistent and he took a sizeable 1.2 seconds from the old mark. 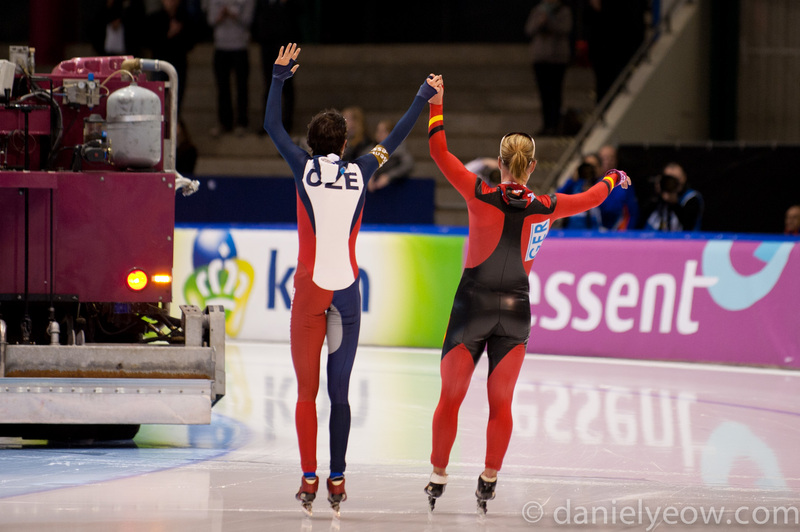 This race capped off an extraordinary few years in which the Dutch, who would still be considered easily the strongest country in speed skating overall, now hold exactly zero world records. This is also not a two-horse race, watch for the in-form Norwegian skater Sverre Lunde Pedersen, currently 3rd in the world cup rankings. He was (un)fortunate enough to be paired with Ted-Jan when the latter skated his world record, so almost nobody noticed Sverre walking away with a new Norwegian record in the 5000m – no small feat considering the previous record holder was Håvard Bøkko, who despite some valiant recent attempts, still holds the junior world record in the distance. Nicola Tumolero from Italy has made huge improvements this season, and the two Germans Patrick Beckert and Moritz Geisreiter (who has the interesting honour of being the heaviest speed skater in the competition – he’s also the tallest) have also been in-form in the lead up to the games and are all definite medal chances. A few of my buddies from the inline world could also be a threat Alexis Contin (France’s only long track skater at the games), Bart Swings (Belgium), and Livio Wenger (Switzerland). A thing to watch out for is the number of steps they take in the straights – good skaters won’t vary the number much throughout the race – consistency is key, and this will be reflected in the lap times. For those readers who are unfortunate enough to live in a country where their TV coverage doesn’t come with commentators who know anything about the sport of speed skating, I will be commentating live (7am GMT, 4pm local time in Korea) for the duration of the event so you can either watch it live with the volume down while listening to my commentary (note that there might be a considerable delay, first because I’m watching a livestream all the way in Berlin and the video has to travel all that distance, but also because of the audio encoding and however much distance that needs to travel to get to your ears. hopefully your livestream has some way that you can delay the feed ever so slightly). If you like the live commentary, or these blog posts, please tell your friends and spread the links around.